Before we get into the nitty-gritty of the best bench grinders currently in the market, we should first understand what a bench grinder is. To put it quite simply, a bench grinder is a benchtop type of grinding machine that is used to drive abrasive wheels.It is mostly used to hand grind various cutting tools and perform another rough grinding. They can also be used for sharpening other tools, leveling joints and smoothening out rough areas. There are tons of bench grinders on the market and deciding on which one to purchase can be both overwhelming and frustrating.However, that is the main purpose of this article. Before you make a purchase, it is vital to understand what they are and what to look for when purchasing one. In this article, we will seek to review the best bench grinders and their features. Also, we will look at the types of bench grinders and conclude on the best one in the market. A bench grinder is a type of grinding machine that is used to drive abrasive wheels. The difference between other grinding machines and the bench grinder is that it is mounted on a bench or table. Grinding machines such as die grinders and angle grinders are handheld. This machine can be used for sharpening cutting tools such as chisels, drill bits, tool bits, and gouges. All this depends on the type of bond and grade of the grinding wheel. Other than these uses, it can also be used to roughly shape metal prior to welding or fitting. A wire brush wheel or buffing wheels can be used interchangeably with a grinding wheel to perform the functions of cleaning and polishing workpieces. The wheels come in different sizes and how to use them will be dependent on the end result you would like to get. Also, whether the project at hand is for home use or professional use also plays a part. This is a bench grinder that comes from the company Wen. This is a trusted brand as it is known for being one of the best in the market and its top-notch quality. A great feature about this bench grinder is that it comes with a variable speed that runs from anywhere between 2000 to 3400 rpm. This means that you can easily switch from slower speeds to maximize precision to higher speeds that aid in fast removal. Another great feature is that it comes with a work light. This is good as it ensures your workpiece is well lit when operating it. The bench grinder comes with a manual that is quite easy to understand. This is great as you can easily install the parts with just the diagram provided. Another great product from the manufacturers at Wen. It is best used by a craftsman in a workshop given its features it can be used to sharpen dull blades, scissors, screwdrivers and much more. This bench grinder comes with a variety of grit wheels that include the 60-grit wheel and 36-grit wheel. The good thing about this is that the former can be used for material removal and general purpose grinding. On the other hand, the latter is coarse enough to be used for faster material removal. The work light can be adjusted to your preference. This is a good feature as it ensures your grinding is well illuminated to increase accuracy and precision. This bench grinder weighs 16 pounds. This is a great feature as it means that you can easily carry it from one place to another without it feeling too cumbersome. This is a heavy duty bench grinder manufactured by Dewalt. It is best to be used for grinding operations, which entail sharpening tools, deburring, shaping parts, rust removal and cleaning certain objects. A great feature about this bench grinder is that it is powered by a ¾ horsepower induction motor that runs at 3600 rpm. This is great because it allows for easy and reliable high-speed material removal. Another great feature about this bench grinder is that it has been manufactured by an industrial cast iron base and motor housing. This ensures that the entire unit lasts longer even with frequent use. The bench grinder comes with a precision-machined adjustable aluminum tool rest. This, in turn, allows the craftsman or construction worker to accurately position his or her work. This is very convenient to use during operations. This is yet another product from the manufacturers at Dewalt. It can be used for both heavy-duty projects and amateur craftsmen who want to get their feet wet when it comes to grinding. This bench grinder has a 5/6 horsepower motor for its small body which is great because it gets the job done in the most efficient and effective way without any frustrations. Another great feature about this DEWALT DW756 6-Inch Bench Grinder is that the wheels come with exhaust ports in the rear of their guards. What these ports tend to do is to prevent overheating of the machine that may lead to it being run down. When you decide to purchase this bench grinder, it comes with eye shields and spark deflectors. This is great because you are able to protect yourself while carrying out a task. Let us not forget the high speeds of 3450 rpm that this bench grinder comes with. This ensures faster material removal. On top of that, it still manages to maintain the least vibration when in use. This is a bench grinder that comes with both medium and coarse wheels. 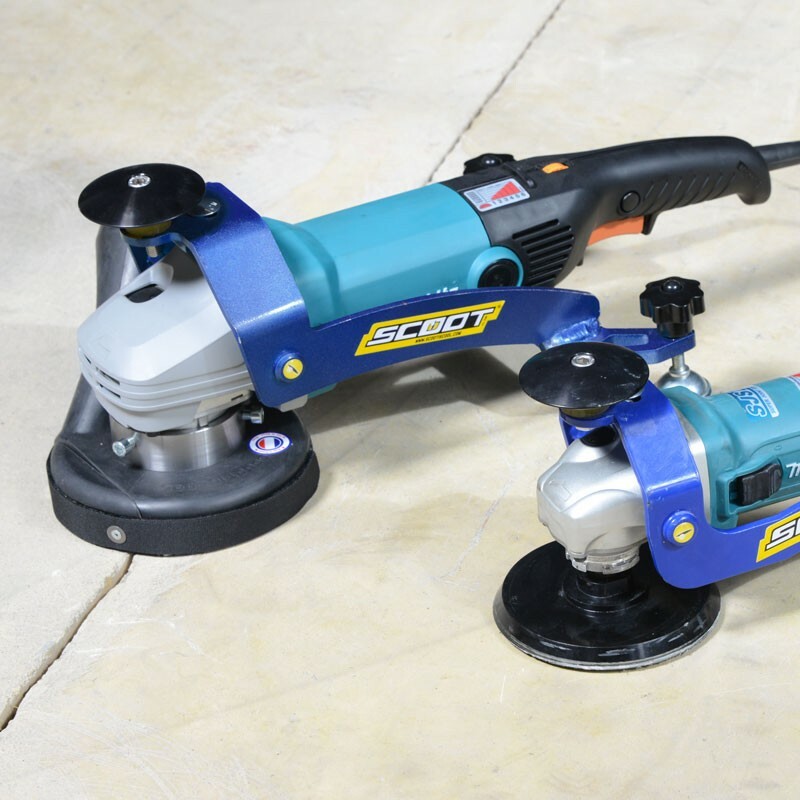 It can be used for a variety of functions in your workshop or garage such as to smoothen out roughened chisel edges, drill bits and knives, grind down welded joints and polish surfaces. When you use this bench grinder you will notice how stable it is to use. This is because it has rubber feet that mount and stick easily to a benchtop. Therefore, regardless of any sudden movement, you are able to maintain the position. Another great feature is that the tool comes with eye shields. This is a great feature as it ensures that you are well protected while handling bigger or smaller tasks. This bench grinder comes with an LED work light which ensures the work is well illuminated for easy visibility. In addition, it also comes with a tool rest for not only one, but also two wheels that enhance accuracy. This bench grinder is mostly used for heavy duty works such as in the industries. It is an 8-inch grinder that allows the user to complete a wide range of projects with ease. It is great for cleaning, sharpening, removing rust, buffing or removing burrs from metal. Packed with 1-horsepower and 115-voltmeter that operates at 3450 rpm, this bench grinder is quite powerful; ensuring it gives you the best performance. 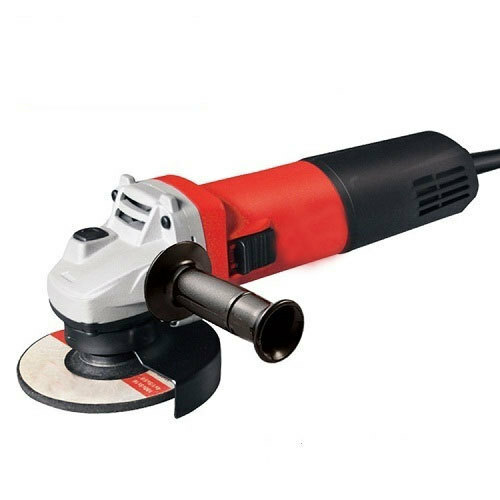 This bench grinder comes with cast iron wheel guards and dust vents, as well as pre-lubricated and sealed ball bearings which is great because it ensures the tool is durable and able to perform at more than optimum level. Another great feature about this bench grinder is that it sits on a rubber foot in order to prevent unwanted movement. In addition, you can choose to bolt down the grinder if desired for maximum stability. This product also comes with large eye shields that can be quickly adjusted with ease for maximum safety when in use. Remember that this equipment should be accompanied by other safety tools such as eyeglasses, hand gloves, and ear muffs. It is important to think about the reason as to why you would need a bench grinder in the first place. In addition, it is important to consider the price of the bench grinder in order to decide whether to purchase it or not. At the end of the day, the most vital aspect is that you choose the best bench grinder for the specific project at hand. The good thing about bench grinder tools is that they are quite versatile. This is because the user can install different wheels, as well as interchange their attachments whenever there is a need to. There are many different types of wheels and attachment styles in the market. It is therefore quite essential that the craftsman reads the details of the bench grinder before they make a purchase. This ensures that they have chosen the right wheel for the job. Motor power is one of the most important considerations to take into account when purchasing a bench grinder. However, the level of power you purchase depends on the type of work you want to do with your bench grinder. Bench grinders with more horsepower are more capable of tackling tough jobs for longer periods of time.Higher horsepower models also tend to last longer overall. Most models feature with a quarter or half horsepower motor, and this speed is adequate for most users. If you need more power, most 8-inch bench grinders feature more powerful motors. For even more power, consider purchasing an industrial bench grinder. Sharpening tools and other projects that require bench grinders can involve a lot of moving parts and dangerous situations. Safety should be an essential priority for anyone looking to buy one of these tools. Consider the type of safety features your bench grinder provides. Things like spark guards and eye shields are safety features that can protect you from bodily harm while using your bench grinder. While some bench grinders offer safety in the form of additional attachments, it is much safer to buy a bench grinder with built-in safety features. The speed measures how fast your bench grinder rotates. However, too much speed is not always a good thing. For larger wheels, too much speed can result in the wheel falling off, overheating, or destroying the whole grinder completely because of the disk shattering. Because of this, we suggest that you respect the maximum speed of your bench grinder relative to your projects. Staying at that speed keeps it from destroying your machine. When shopping for a bench grinder, find its top speed and stay within that range for your device to operate correctly. When you plan on purchasing a bench grinder, it is important to think about the long-term aspect of it and how long you intend to use it. If you plan on using the grinder occasionally or only when necessary, it is best to get a standard bench grinder. It is used for light duty tasks. On the other hand, if you are using the bench grinder for more professional duties that require more complex grinding, it is best to get a more powerful tool. Most bench grinders on the market offer a slew of different features that aren’t consistent among all the models. These additional features provide greater experience in some way and how important some of these are, depends entirely on your personal preferences. Things like tool trays, mounting holes, anti-vibration features and water cooling trays all provide an extra level of convenience and functionality to the bench grinder you buy. If these features are important to you, consider purchasing one with more additional features, but be aware that you might pay a premium for them. Here, we shall look into the different types of bench grinders depending on the category in which they fall such as the general design, the type of wheel and the type of grit. The main aim of this type is to smoothen the dull cutting edges, as well as grinding wood. If your project requires a high degree of accuracy, this type of bench grinder runs at low speed which is best for this. This does not necessarily mean that this grinder is used in the automotive industry. What this grinder does is grind a whole range of cutting tools and shape a variety of metal surfaces. If you have plenty of projects in your hands to fulfill, then this is the best grinder for the job. Apart from this, it is also durable and versatile. You can use various grinding wheels with such a bench grinder. From the name, you can gather that this bench grinder is lightweight and can be moved from place to place. For industrial uses, when you need to adjust tools frequently, this is your best bet. However, it may not be as strong as other grinders are. There are different wheel varieties for bench grinders such as fine wheels, course wheels, tapered wheels, straight wheels, etc. When looking at the wheel, it is paramount to choose a bench grinder with the speed that you desire. Remember, for more heavy duty tasks, the higher the speed should be used. It is the most common as it is used for sharpening chisels and other tools. It is also used for any surface grinding. This type of bench grinder is best for delicate works like sharpening the gear teeth or grinding threads because it has its wheel narrowing towards the edges. With tapered edges, getting into tiny spaces becomes easier. This is best for sharpening saw blades efficiently, especially if you work with them on a regular basis. It will get the job done just right. Cylinder wheel is normally hollow and big to suit big materials. For instance, if you have a huge sheet of metal and you desire to sharpen it at once, this is the bench grinder for you. If you have a material that is hard, this type of bench grinder should do the trick. The wheel is lined with diamond bits that makes it capable of sharpening anything, seeing that it is one of the hardest elements on earth. As you have clearly seen, the best bench grinder is one that serves the purpose for which it is made for, it is versatile and gets the job done efficiently. After inspecting and introspecting, the bench grinder that gives the highest performance is durable and safe to use is the DEWALT DW756 6-Inch Bench Grinder. This is because as compared to the other four, and on top of its great features, it has an additional feature of being budget friendly. This feature is essential as it ensures the craftsman is able to get a balance of both quality and affordability. Q: What is the bench grinder used for? A: A bench grinder is a benchtop machine that drives abrasive wheels. Many folks use it to sharpen dull cutting tools like knives, chisels, and drill bits, but the machine can also be used for shaping metal before it is welded or fitted. Q: Is it possible to use a bench grinder to grind wood? A: Yes. The abrasive surface works just like sandpaper or any other abrasive used for grinding wooden objects. However, you need to choose the right grit size and the right speed while grinding wood. Finer grits would work better for polishing wood. The woodworking bench grinder would be the best option for grinding wooden items. Q: Can I use a bench grinder to grind aluminum? A: Yes. Nonetheless, you need to exercise caution. Realize that aluminum is a soft metal and at high temperatures, it melts more easily than other metals. As the grinding action produces lots of heat, it’s possible that the aluminum will melt, and some of the metal will coat the wheel. Q: What is a bench grinder wheel made of? A: The wheel is made of abrasive grain. The abrasiveness of the grain is different on different wheels, so be sure to select what suits the material you are looking to grind.